A few years ago, resource strains were everywhere: prices of oil, gas, coal, copper, iron ore, and other commodities had risen sharply on the back of high and rising demand from China. For only the second time in a century, in 2008, spending on mineral resources rose above 6 percent of global GDP, more than triple the long-term average. When we looked forward in 2011, we saw a need for more efficient resource use and dramatic increases in supply, with little room for slippage on either side of the equation, as three billion more people were poised to enter the consumer economy. While our estimates of energy-efficiency opportunities were more or less on target, the overall picture looks quite different today. Technological breakthroughs such as hydraulic fracturing for natural gas have eased resource strains, and slowing growth in China and elsewhere has dampened demand. Since mid-2014, oil and other commodity prices have fallen dramatically, and global spending on many commodities dropped by 50 percent in 2015 alone. Even though the hurricane-like “supercycle” of double-digit annual price increases that prevailed from the early 2000s until recently has hit land and abated, companies in all sectors need to brace for a new gale of disruption. This time, the forces at work are often less visible and may seem smaller-scale than vertiginous cyclical adjustments or discovery breakthroughs. Taken together, though, they are far-reaching in their impact. Technologies, many having little on the surface to do with resources, are combining in new ways to transform the supply-and-demand equation for commodities. Autonomous vehicles, new-generation batteries, drones and sensors that can carry out predictive maintenance, Internet of Things (IoT) connectivity, increased automation, and the growing use of data analytics throughout the corporate world all have significant implications for the future of commodities. At the same time, developed economies, in particular, are becoming ever more oriented toward services that have less need for resources; and in general, the global economy is using resources less intensively. Nearly 10 years ago, Stratfor published a series on Russia's historical boom-and-bust cycle. At that time, Russia was clearly at the height of a boom, rebuilding itself into a stable and robust power. Today, the country is quickly descending into the next, less pleasant stage. The strategy that revitalized the country is becoming less effective, forcing Russia and its leaders to act more aggressively at home and abroad. Though still assertive, Russia is no longer acting from a position of strength. The country may maintain some semblance of strength for years to come, but its fragility will eventually become apparent, forcing it into the next phase of the cycle. There is an old saying that generals prepare for the last war they fought. For the past decade and a half, the U.S. has been fighting a war in the Middle East against a lesser adversary, an enemy that in no way parallels the United States’ military might. As cyber becomes more prominent and Russia flexes its muscles in Europe, Defense Secretary Ash Carter and senior military leaders realize the enemy is changing, which is why they are signaling for a shift in the talent makeup in the military. The Army’s guidance given to promotion boards in 2016 reflected Carter’s call for a different kind of soldier; one that is creative and has advanced civilian degrees and broad experiences. In that case, it would seem that Capt. Jim Perkins, executive director of the Defense Entrepreneurs Forum, an innovation engine of emerging defense leaders, would be a shoe-in for promotion. Perkins, also earned his M.B.A. from Georgetown University while in the Army. Not only is he a high achiever, but he’s willing to pass up a much higher salary in the private sector in order to serve the public good. As part of Federal News Radio’s special report The Army is Shortchanging its Future Force, Perkins said his experience is one example of how the Army is forcing out talented, promising and innovative officers from its ranks. Download PDF file of "Issues & Insights Vol. 16 - No. 17 - Responding to China's Strategic Use of Combined Effects"
China is wielding superior strategies that envelop opponents with expedient instruments of national power. Drawing from a rich tradition of comprehensive and indirect stratagems, Chinese leaders use a variety of methods notably absent in US strategy. The core of Chinese strategy consists of combining preventative and causative effects, such as defend and coerce, deter and compel, dissuade and persuade, secure and induce. By combining these different effects, China forces others into disadvantageous outcomes. This paper reveals Chinese strategy as complex forms of confrontation and cooperation, and recommends a countervailing US strategy of combined effects. Chinese strategy is based on simple distinctions that produce complex warfare. The operating logic is this: psychological and physical tools target an actor’s will and capability to create complex effects difficult to counter. In psychological confrontation, China intimidates will and neutralizes capability to Deter – Compel. In psychological cooperation, China assures will and enhances capability to Dissuade - Persuade. In physical confrontation, China punishes will and denies capability to Defend - Coerce. In physical cooperation, China demonstrates will and exercises capability to Secure – Induce. These differences create inexhaustible permutations. Using this language, we examine variants of combined effects that the People’s Republic of China (PRC) has constructed to secure its territorial integrity. The cases involve 16 border disputes since the PRC’s founding in 1949. Overall, China’s pattern is to lead with inducement and follow up with other effects to isolate, divide and force accommodation by its intended targets. In order to compete with China’s multiple effects, the U.S. needs offsets that integrate advanced technologies into synergistic strategies. Superior weapons technology is not enough. To prevail against China’s comprehensive strategy, American military power needs to contribute to the sustainment of combined effects. This is no simple feat for any government, but it has been a chronic challenge for pluralistic democracies to pull off. US national security strategy needs to organize its fragmented national capabilities into flexible lines of effect. 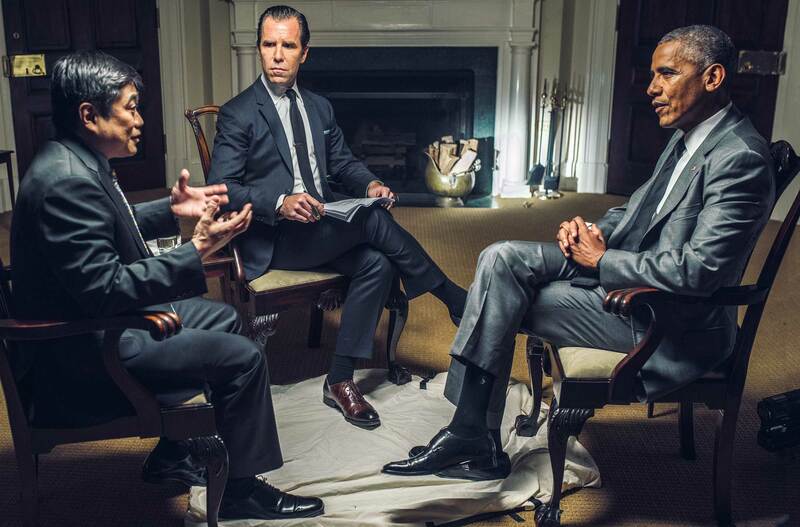 The U.S. has faced some tough words from foreign leaders of late, but does it matter? 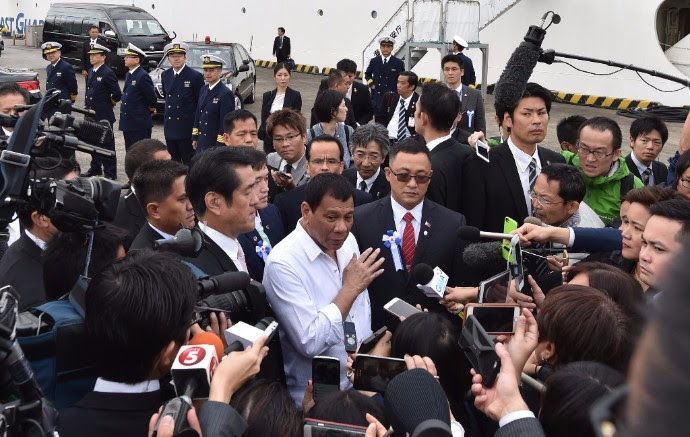 Philippine President Rodrigo Duterte is surrounded by the media as he answers questions following his inspection of Japan's coast guard drills in Yokohama on Oct. 27, 2016. ** One Wonders: It Happens Only in India !! It is said that morale makes a soldier, sailor and airman victorious against extreme and unforgiving odds. Therefore it comes as a surprise that while the Indian state finds Pakistan as an enemy state and China as an adversarial one, and remains tormented by an unending succession of internal revolts, the Ministry of Defence of the Government of India leave no limits breached in serving the cause of these inimical forces to de-motivate the Indian soldiery – the term ‘soldiery’ here bring synonymous to the warriors in the three Services. In so doing, the defence bureaucracy takes advantage of cluelessness, and perhaps carelessness, of their political bosses – the Defence, Finance and the Prime Ministers – to stir up mischief that must be unthinkable against the pristine majesty of the state. Simple facts, dismaying no end, are illustrative. But the import of these may be truly appreciated only when tested against the principles of just governance. These principles recognise the salience of the final effects on the ground, and on the people, rather than motivated interpretations of rules and partisan trickery with rules, regulations and procedures. The defence bureaucracy’s abuse of such principles, just to keep the military institution in a perpetual state of professional and social starvation, is actually out of tune with the modern trends that have been adopted in all other Ministries. The urge to perpetuate that state of affairs is so compelling that even the interventions of the nation’s apex Court are brazenly diverted and deflected without compunction. But the main concern here is that the partisan trickeries being played in all of the Departments of the Ministry of Defence and its Finance Division relate to military morale and its culture of ‘nation-before-self’ that is fundamental to India’s power to protect her sovereignty and integrity as a nation-state, and that takes generations to build but just few acts of dishonesty to destroy. German businesses are relying less on external funding. This week began with the release of numerous positive monthly statistics for the German economy. The Munich-based Ifo Institute’s latest German business climate index noted that business managers’ optimism has risen, considering that the index value for October is not only higher than last month but at its highest level in more than two years. At the same time, the Purchasing Managers’ Index, compiled by IHS Markit and used by the European Central Bank to assess the health of the region’s economy, indicated an accelerated increase in German business activity in October compared to September. In addition, the Cologne Institute for Economic Research forecast that German exports to the U.K. will fall by just 6 percent next year due to the devaluation of the pound in relation to the euro following Brexit and that this decline will only marginally affect Germany’s economic performance in 2017. Lastly, the German development bank KfW released its latest report on the German middle class and small- and medium-sized enterprises (SMEs) on Oct. 25. It noted not only that the middle class is in “excellent shape” but that SMEs are continuing their strong performance, with stable sales growth of 3.3 percent and an equity ratio of 30 percent. 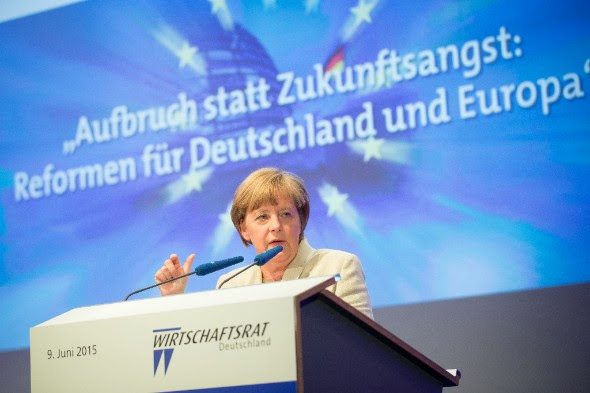 All these developments seem to indicate that Germany has again become the driving force of the European economy. The village (termed as a ‘township’ by China) is located north of the McMahon Line (and the Upper Subansiri district of Arunachal). The China Daily notes: “Frontier soldiers and local residents patrol in the township. South Asia's nuclearization has transformed the Indo-Pakistani conflict from a regional matter into a global issue. An exchange of 100 nuclear weapons between the two nations could kill 20 million people within a week and could also reduce global temperatures by 1.3 degrees Celsius, putting up to 2 billion additional people at risk of famine. Realist scholars have long argued that to prevent the use of nuclear weapons in an Indo-Pakistani war, the two countries must achieve stable nuclear deterrence. Achieving this goal has come to seem increasingly difficult, if not impossible, and recent changes in India and Pakistan's nuclear doctrines and conventional strategies have made nuclear relations even more unstable. 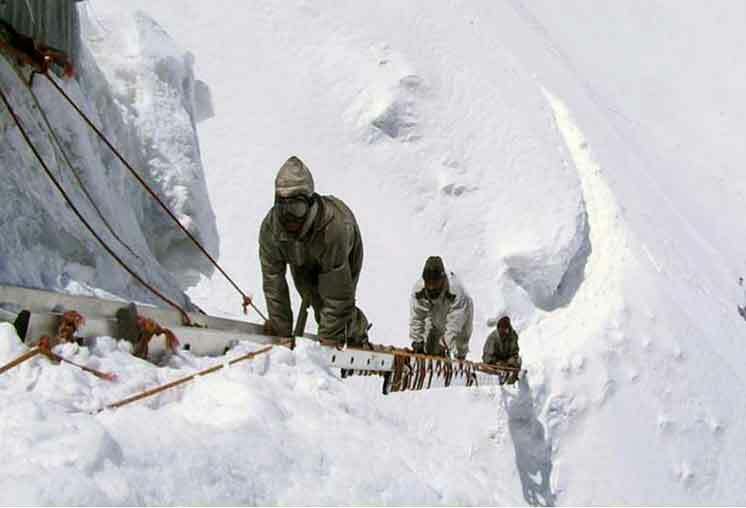 For example, the Indian Army's Cold Start doctrine involves quick conventional attacks—launched in retaliation for a terrorist attack by a Pakistan-based jihadi organization and intended not to provoke Pakistan into a first use of nuclear weapons. 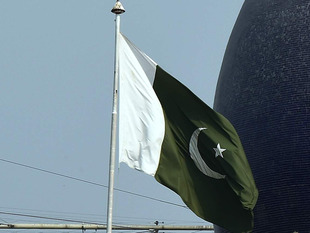 But Pakistan says it would respond to a Cold Start offensive with low-yield nuclear weapons. The conventional wisdom is that India maintains a "recessed deterrence posture"—during peacetime, nuclear warheads are not mated with delivery systems and warheads themselves are not fully assembled. According to Debalina Ghoshal of the Delhi Policy Group, recessed deterrence contributes to strategic stability in Indo-Pakistani relations. But according to political scientist Vipin Narang of MIT, the belief that India keeps its nuclear weapons in a disassembled state "is largely now a myth. … [I]t seems likely that all of India's nuclear missile systems will eventually be deployed in a near-ready 'canisterized' state, which is a far cry from the prevailing perception that India maintains its nuclear force in a relatively recessed state." Pakistan's nuclear weapons, meanwhile, are apparently ready for use at any time, and authority to use nuclear weapons during military crises with India has reportedly been pre-delegated to Pakistani field commanders since 2000. It's too late now for true recessed deterrence in South Asia, and stable nuclear deterrence is probably impossible on the subcontinent. Rather than "too much Uncle Sam"—that's how a subheading in Rabia Akhtar's first essay expressed the author's view—the problem in South Asia is "too little Uncle Sam." Akhtar is concerned about India and Pakistan's inability to "grow up" and end their dependence on US management of nuclear crises. I share her concern, but unless Washington forces New Delhi and Islamabad to stop their nuclear arms race and take arms control seriously, the two South Asian nations will continue playing with nuclear fire. Pure bilateralism, without any US pressure, is a dead-end street—witness the two countries' inability to prevent the current crisis over the Uri attack. What India and Pakistan require is more US involvement (along with a multilateral effort to reduce nuclear dangers, both globally and in South Asia). Washington's ultimate goal in the region must be denuclearization. Nuclear arms control would be a first step in that direction. Akhtar claims that US influence over the South Asian rivals "is less pronounced… than my roundtable colleagues seem to believe." But Pakistan still depends on US economic and military aid. And the United States could use its leverage over India—made possible by the US-India nuclear deal—to encourage India to disavow its army's Cold Start Doctrine. Meanwhile, Washington could exert strong pressure on the Pakistani military to enforce the illegal status of allanti-Indian jihadi terrorist groups based on Pakistani territory. India might then reduce its military pressure on Pakistan, allowing the Pakistanis to feel more secure. Islamabad then might agree—under US pressure—not to deploy tactical nuclear weapons. The Indians might then make a similar pledge. This would amount to a "graduated and reciprocated initiative in tension reduction" of the sort identified by British economist and peace activist Kenneth Boulding. The result would be significant reduction in the risk of a South Asian nuclear exchange. COMMUNIST leaders relish weird and wonderful titles. Kim Jong Il, the late father of North Korea’s current “Great Leader”, was, on special occasions, “Dear Leader who is a perfect incarnation of the appearance that a leader should have” (it doesn’t sound much better in Korean). China’s rulers like a more prosaic, mysterious epithet: hexin, meaning “the core”. 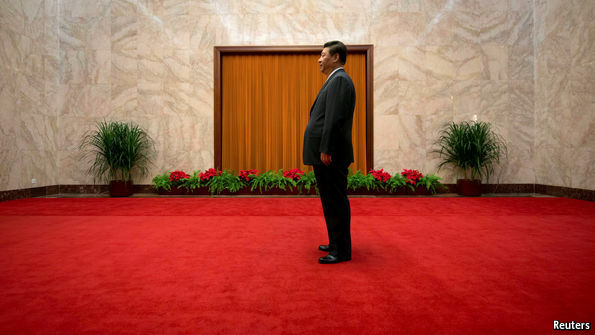 Xi Jinping—China’s president, commander-in-chief, Communist Party boss and so forth—is now also officially “the core”, having been called that in a report issued by the party’s Central Committee after a recent annual meeting. For decades, the United States has watched China's burgeoning space program with growing apprehension. Washington's fears initially did not stop it from allowing U.S. companies to use Chinese launch systems to put satellites into orbit. After a string of failures in the mid-1990s, however, the United States began to distance itself from its Chinese competitor. The new Long March 5 rocket launched successfully on Thursday. The rocket could be used to support a Chinese space station and send an uncrewed mission to Mars. A nation’s dream of journeying to Mars took flight in Wenchang, China, on Thursday. For now, though, the latest contender in the space race is sticking a little closer to home. The new Long March 5 rocket launched successfully from the Wenchang Space Launch Center. The rocket measures 187 feet, making it the largest produced by China. It can carry 25 tons of payload into low-Earth orbit. The rocket carried a satellite that will be used to test a variety of technologies, from observing space debris to electric propulsion. The rocket is an integral part of the growing Chinese space program. It lays the groundwork for future missions, such as China’s plan to have a fully-crewed space station by 2022 and send an uncrewed mission to Mars some time between 2024 and the end of the decade. "Its successful launch has propelled China to the forefront of the world in terms of rocket carrying capacity, and marks a milestone in China's transition from a major player in space to a major power in space," the ruling Communist Party’s Central Committee and the Central Military Commission wrote in a letter, according to Chinese news agency Xinhua. Excluded from participating in the International Space Station project, China has been assiduously growing its own space program. The country hopes to become an “aerospace power,” President Xi Jinping said, according to NBC News. After the Uri attacks, Pakistan’s special Kashmir envoy Mushahid Hussain Syed declared that the US was a waning power, suggesting that Pakistan was seeking out other allies. The reference was to China, a country that has been courting Pakistan for several years through a number of means including assistance in its nuclear programme. Of late, there has been much talk of the China-Pakistan Economic Corridor (CPEC) that stretches from the autonomous region of Xinjiang to the Gwadar port. This corridor—which includes road, rail and port infrastructure—is expected to allow China to avoid the vulnerable Indian Ocean route currently used to transport oil from the Gulf. It will also enable Pakistan to create an alternative to the US for patronage while bringing economic development in desperately poor regions including Pakistan Occupied Kashmir (PoK). India has noted the development of the project with some dismay. Prime Minister Narendra Modi is believed to have brought up the issue of the economic corridor passing through PoK in his bilateral meeting with Chinese President Xi Jinping on the sidelines of the G20 summit in September. Game theory, a subject that came of age at the height of the cold war between the US and the Soviet Union, suggests our dismay might be unfounded. China is no longer a communist country per se! China was a communist country from 1949 to 1976. China embraced capitalism after Mao died in 1976. Today, China is more capitalistic than America in many ways. China has a one-party political system. The ruling party is called the CPC (Communist Party of China). This unfortunate name has given the American political-media complex a good excuse to keep referring to China as "communist China" to impugn the country and arouse distrust in America. However, it's not true and it's done only to mislead Americans. China is not an enemy to America. Economically, China is a competitor to America. The use of the word "threat" is distraction and clearly un-American! Militarily, China has never been a threat to America! For example, in 2015, China's 2015 military spending was $145 billion vs. America's $600 billion. China did increase its military spending in 2015 by 10%, which was characterized by America's mainstream media as a "ballooning" military budget. Where else on earth could this kind of talk have been possible other than in America? Thanks to "brainwashing" (Brainwashing in Communism and in Democracy)! In 2015, America spent more on her military than the next 10 top spenders combined! Worse yet, America is the only country that has been spending like that for decades! Why so much? Because the MIC (Military Industrial Complex) has powerful lobbyists in Washington and has convinced our politicians (with enormous gifts) that the rest of the world is just waiting to subjugate us! Due to our perpetual military interventions, America has been, since the Cold War ended in 1991, a major source of instability around the world, especially in the Mideast. Demographic constraints on China’s long-term economic prospects led the Chinese Communist Party to fix military expenditures at approximately 2 percent of GDP: a percentage it has maintained since 1988. Comparatively high rates of annual economic growthhave allowed corresponding annual increases in military spending, but as the Chinese economy matures and its growth rate slows, military expenditures are likely to follow suit. As Iraqi troops battled to gain ground a few streets away, soldiers in the Mosul district of Intisar wrapped a wounded and bloodied colleague in a blanket, lifted him off his Humvee, and sped him away from the frontlines for treatment. Heavy shooting and mortar fire shook the neighborhood, which the soldiers were trying to recapture from Islamic State militants who have held Mosul for more than two years. Fighting their way into the city this week, soldiers have gained a foothold in the eastern districts. A trip to the battlefront by Reuters journalists, one of the first visits into Mosul itself, showed the scale of the battle they face. Israel’s intelligence agencies are closely monitoring the advance on the ISIS bastion in the Iraqi city of Mosul, and they are not optimistic about the outcome either for Iraq or themselves. A report issued Sunday by the Meir Amit Intelligence and Terrorism Information Center (ITIC), a security think tank, predicts a long siege and sectarian bloodbath in Mosul and an increased likelihood of ISIS attacks on Israel and its vulnerable neighbor Jordan. Israel’s connection to the Mosul area traces back to the British Mandate period before the proclamation of the state, when a pipeline ran from the oil fields in Kirkuk through Jordan to the port of Haifa. The assumption is that ITIC reports are based on human, signal and open source intelligence. Israel has long maintained a policy of providing covert military assistance to Kurdish groups, and in the past decade extended increased humanitarian aid to the both Kurds and Yazidi Christians in northern Iraq.